FPS (First Person Shooters) have become a regular in the video game market. We all have played at least one in our lifetime. With such popular franchises as Call of Duty, Halo, and Battlefield, you can sometimes forget smaller FPS series like, Red Faction, Killzone, and Rainbow Six. Sometimes one comes out that exceeds expectations or gives the genre, a swift kick to the nuts. Epic Games’ Bulletstorm did it in February, and now Crytek’s Crysis 2 has done it in March. You play the game as Alcatraz, a Marine whose squad was wiped out in a submarine attack, and on the brink of death, you are saved by Prophet and are given his Nanosuit (A suit that increases your tactical awareness, as well as your speed, and jumping ability), and the mission to stop the Ceph invasion. Without going into too much detail, the story was gripping. It almost had a movie feel, with the plot twists that happen throughout. Don’t get me wrong, the story is far from perfect, but it kept me more entertained than some movies I have seen. The visual presentation in this game is fantastic. The fictional New York City comes to life as you play. As you progress through the game, you slowly begin see the city falling apart. Its good to see a building fall in a game, and dust engulfs the entire area around the building. Your Nanosuit’s powers are brilliant to look at. When in Cloak, your gun and arm disappeared with a water-like effect that reflects the light around you, while in Armor mode you get a honeycomb appearance around your HUD. Now everything wasn’t always perfect visually. You did have the occasional frame drop issue at the beginning of some levels, and some character models were stiff, but that wasn’t enough to take away from an already gorgeous game. Gameplay in Crysis 2 is intense. At any given time you could have bullets flying at you from multiple directions. In most cases you have the option to be stealthy with your kills, or go all Rambo-like with them. When you come to an area, you have tactical options that come up when you look through your visor. Some positions are for sniping, while others allow you to flank your targets. Along with your Visor, you also have the abilities of Cloak and Armor. As the names suggest, Cloak makes you virtually invisible to targets, while Armor increases the amount of damage you can withstand. Both use your suit’s energy, so use them wisely. Basic combat in the game like shooting, running, jumping, and moving are your common button configuration you find in most FPS. 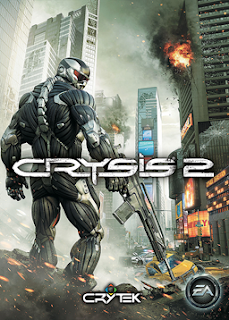 Overall the gameplay of Crysis 2 was very smooth and fluent. Prior to the rise of the Smackdown Vs. Raw series, the best video games featuring Vince McMahon's squared circle juggernaut were primarily based in arcades. From the offerings by Technos Japan to the more over the top game from the folks at Midway to the oft-forgotten, yet very impressive Sega/THQ offering, WWE arcade games have lacked the depth of their home console counterparts, but made up for them with impressive gameplay. THQ's latest WWE game returns to the roots of those classic arcade games while answering one important question: "What would happen if the greatest superstars of the past were able to match up against the top stars of today?" The answer is an over the top, fast past, thrill ride that might be one or two minor flaws away from being a serious top tier fighting game. One difference that fans of WWE's traditional wrestling games will notice is the art style. All Stars has a look reminiscent of 2009's lackluster Legends of Wrestlemania, but that is pretty much where the similarities with that debacle end. Each character in the game sports an overly muscled physique much like the old rubber LJN WWF action figures we grew up playing with. The animations are highly exaggerated as well, with moves like dropkicks launching opponents into the air while slingshotting the wrestler who performed the move in the general direction of a turnbuckle. and when it's time for a wrestler to perform a finishing maneuver, everything around them changes colors, and the resulting move is the most violently exaggerated thing seen in a wrestling game since the special moves seen in EA Big's Def Jam Vendetta. One of WWE All Stars' tag lines calls the game's roster "the greatest ever assembled, a nd outside of a Fire Pro Wrestling custom roster, I'm hard pressed to argue. The legends side reads like a who's who list of Hall Of Famers or soon to be inductees, while the Superstars side sports a list of superstars that have headlined Pay Per Views, held championships, and are beloved the world over. To make things feel balanced, the wrestlers are broken into four classes: Big Man, Brawler, Grappler, and Acrobat. Each class has strengths and weaknesses, for example: wrestlers that fall into the Big Man category can typically take more punishment than those that fall into the Acrobat class, but acrobats are exponentially faster. Brawler can string can use charged strikes to juggle opponents, while Grapplers can chain together multiple holds and deal a great bit of damage.It typically pays to play to your characters strengths sense that leads to their signature and finisher bars filling faster. Much like Street Fighter 4, each wrestler in WWE All Stars can build a three level "signature move" meter while a second meter, reserved for "finishing moves" builds a little slower, but the resulting move deals enough damage to keep an opponent down for the three count or knock them out all together. That another element of the arcadey coolness of WWE All Stars. 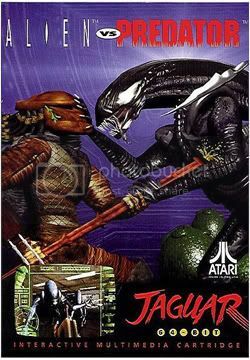 As far as the gameplay modes, there is the Path of Champions mode, which is the standard arcade style ladder made famous by Mortal Kombat. (writer's note: a big chunk of the development team for All Stars worked for Midway during their arcade heyday). Next there is the Fantasy Warfare mode, which pits legends against active superstars. each match has a specific theme, so unless they add DLC characters to the mix, don't expect more than the 15 matches in this mode from the start. What's the benefit of playing through the various Path of Champions ladders or Fantasy Warfare mode, why the joys of unlocking characters, venues, alternate costumes, and the very well produced video packages that precede the matches in Fantasy Warfare mode. Now for the the things I didn't like about the game. My main gripe is the computer catchup that seems to occur during some single player matches. Some computer opponents will take a tremendous beating throughout a match only to launch into a mainly unblockable combo that will instantly whittle your character's health to near nothing. Another gripe is a problem I've encountered after years of playing SNK fighting games: Many computer controlled opponents tend to turtle (constantly block) during matches, and since their is no such thing as "chip damage" in this game, this can slow down matches, and in this type of game, slow matches can prove disastrous. I noticed that the create a character mode, while present, was a bit thin on editing options, but in a game of this manner, there is only so much to expect, so the light pickings on the create a wrestler mode are not a big issue. The most glaring issue I had with WWE All Stars is an issue I've had with THQ's WWE product for years now. The loading times can be a bit long to say this is 2011 and loading times are something that most gamers barely remember nowadays. All of these issues are forgivable though, and a skilled player can overcome issues with turtling and computer catchup with relative ease. All in all, THQ has done what most gamers have wanted since they dropped quarters into Midway's Wrestlemania game in the mid 90s and threw ghosts at their opponents with The Undertaker. 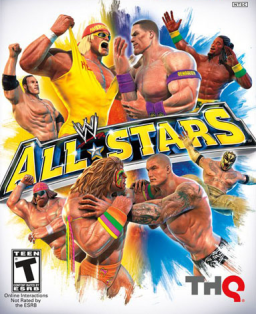 if a sequel is made to this one, a bigger out of the box roster and a few more match types might make WWE All Stars become a must play fighting game. Just found out an interesting bit of information. Apparently, folks have preordered Duke Nukem Forever have to wait until June 14, 2011 to get their copy of the long awaited first person shooter. Gearbox interactive announced the news with a tongue in cheek attitude, calling the delay "the shortest delay in the games nearly 15 year development cycle". At least it hasn't been pushed back to the next system generation again. It's Friday, and I can't think of one particular thing to write about, so today I'll write about a few things. A California judge has given the green light for Activision to sue EA. Why is Activision suing Electronic Arts for $400 million? Over the incredibly childish Infinity Ward situation, that's why. Ubisoft recently released an HD redraw of Beyond Good and Evil. That's a great thing, but can we cut the double sell crap and get the sequel already. The tragedy in Japan has led to several games being understandably postponed, while Irem decided to outright cancel Disaster Report 4 out of respect for those affected by the Earthquake and ensuing Tsunami. An all new DJ Hero 2 track pack, which includes music from Jaylib, Atmosphere, and RJD2 was released earlier this week. It shouldn't cost more than $10 for the full three mix pack, so if you have DJ Hero 2, go get it. Fans of Mass Effect 2...There is more DLC coming in the form of yet another mission. This supposedly final mission pack is slated for a March 29th release date. 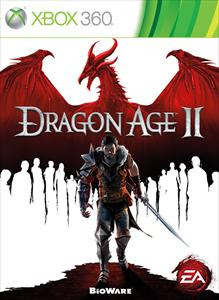 Today, I'm taking the day off, but the homie Lou decided to contribute his opinion on Bioware's latest project, Dragon Age II. Hope you enjoy..
Ikari Warriors, Baseball Stars, Alpha Mission, Guerrilla War...I could go on for a while listing the Classics published by Shin Nihon Kikaku Corporation. SNK, as they became known, developed some of the greatest games to come along after the crash of 1983, and their proprietary arcade technology, The Neo Geo Multi Video System, became the stuff of video game legend and video game collectors' dreams. Long before the Neo Geo, though, SNK broke into the video game business with a game called Micon Block, but they achieved their first major success with Vanguard. Vanguard was groundbreaking for two major things; it was the first scrolling shoot em up in video game history, and it allowed players to fire in four directions while moving. SNK followed the Success of Vanguard with the opening of their North American offices, and then with a string of highly popular coin op titles like Athena, Alpha Mission, Psycho Soldier, and Ikari Warriors. The last of those, Ikari Warriors was so popular that it was ported to several systems. Ikari Warriors also spawned two sequels in Victory Road and Ikari III: The Rescue. For the rest of the 1980s, SNK was one of the industry's best arcade and home console game publishers, and all the while they were preparing to unleash something that nobody saw coming. In 1990, SNK released its all new 24-bit arcade system, the Neo Geo Multi Video System, or MVS. The Neo Geo was an arcade operator's dream, since the cabinets used cartridges and were sold in 1, 2, 4, and 6 cartridge slot varieties, it cost a fraction of the initial cost to replace games. There was also an incentive for gamers to play since the Neo Geo arcade cabinets had memory card slots that players can use to transfer scores and save data from the arcade games to their home Neo Geo consoles. Oh yeah, I forgot to mention that SNK released the first chip for chip arcade perfect home console in the form of the Advanced Entertainment System or AES. Gamers were generally excited about the AES, but there was a big factor that kept many from buying one, namely the price tag. The Neo Geo came in two flavors, with the base model costing $499 while the high end package costing $649.99. Suffice it to say, many gamers never got to play a Neo Geo AES. Which is sad, considering how excellent the library of game was for the system. SNK had bonafide classics on the Neo Geo, including Baseball Stars 2, Super Sidekicks 3, Viewpoint, and Fatal Fury among many others. SNK started to experience a financial meltdown towards the end of the 90s, and folded in 2001. All was not lost however, and the original founder of SNK, Eikichi Kawasaki started Playmore, then that company acquired SNK's assets. From there, Playmore sought out and successfully rehired most of SNK's old staff, and SNK Playmore was born. Over the past few years, SNK Playmore has been gradually reviving a number of old Neo Geo franchises like Metal Slug and King Of Fighters, while bringing back old favorites through a number of compilations. Playmore has struggled to keep pace with mega publishers like EA and Take Two, but SNK Playmore has garnered quite a cult following among retro gamers and they aren't going away any time soon. This song is part tribute to Ryu, the legendary character from Capcom's long running Street Fighter series, and part declaration of lyrical superiority. the song is entitled "I Go", and the artist is New Orleans emcee D. Francis.